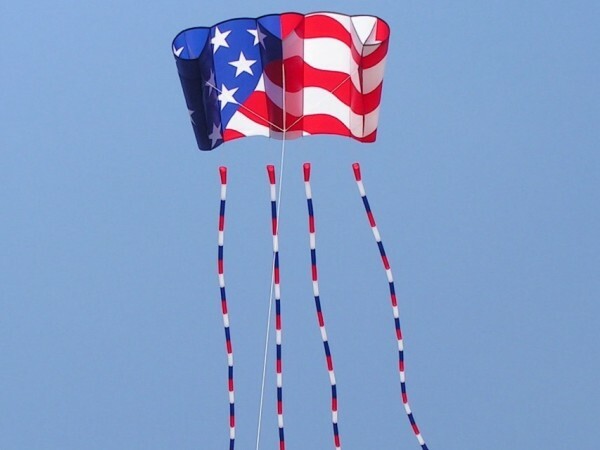 This bold Red, White & Blue applique design is a very large, easy to fly kite which packs down into its' drogue chute carry-bag. 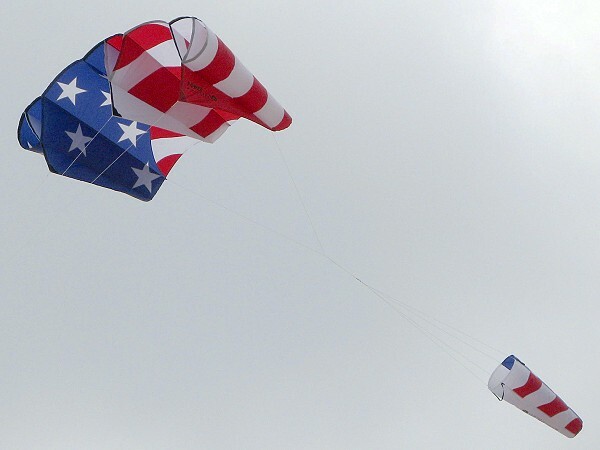 The Mega Sled 81 is a powerful kite and will support all sorts of large line laundry. The Sled 81 can be flown with twin 100ft tails or 75ft Banner Tail with drogue removed. Recommended for those with strong pulling kite experience. Size: 178" wingspan x 83"